The Buildings venue encompasses suppliers and adopters of smart building equipment and automation systems, including HVAC and climate-related equipment, physical security and access, lighting, fire and safety, and people-moving systems, such as elevators and escalators. We analyze the evolution of distributed control and information system technologies that are automating energy management, operations and maintenance of facilities. 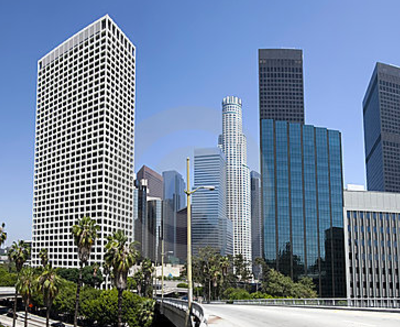 Our research covers the major customer segments within the Buildings venue including commercial and institutional buildings (e.g., office buildings, entertainment venues, schools and universities, retail stores, and government buildings) as well as industrial facilities (primarily processing and manufacturing buildings). 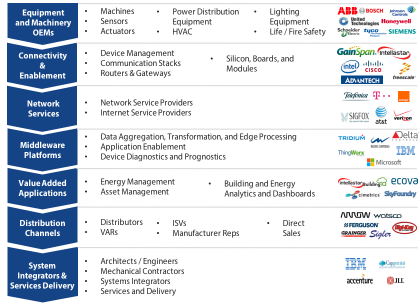 Has Anyone Seen a Real IoT Ecosystem? 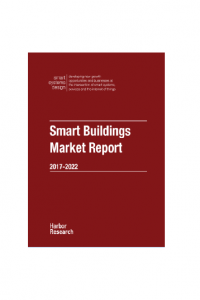 Building owners and managers are seeking cost-effective and easy to use tools that coordinate the operation of traditional building sub-systems with new smart systems and IoT technologies. 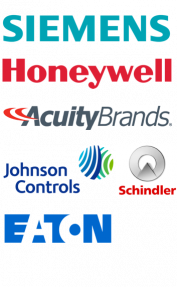 Incumbent hardware and equipment vendors recognize they cannot deliver a full range of integrated services across the diverse array of manufacturers and sub-systems alone, but fear losing control over their role and contributed value in new smarter building systems and missing out on new revenue opportunities. This leads to a notably more complex competitive environment in which incumbent firms face disruption from a growing range of market entrants. Given that many of the incumbents operate in closed ecosystems, we see the potential for significant disruption by small disruptive technology players who are bringing new software offerings that combine data streams and work across diverse equipment systems, giving the new entrants the opportunity to displace many traditional hardware-focused players. 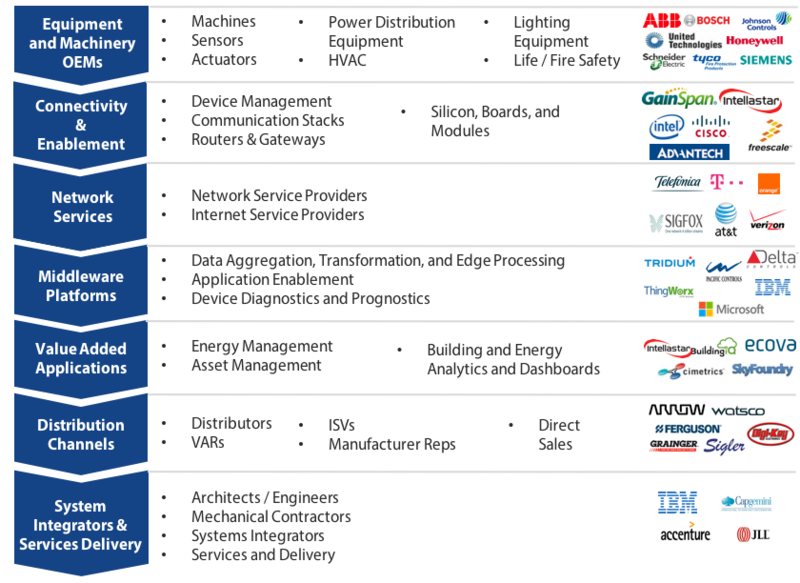 However, the sheer complexity of Smart Building systems (HVAC, power, lighting, etc.) will make it difficult to expand to create holistic system offerings as will building operators’ bias towards not wanting to be “locked in” to one particular vendor. Looking forward, the winning players will be those who offer the flexibility to operate across disparate brands and systems while providing advanced analytics and new smart building services that deliver near-term return on investments.